We Got Lites is one of the biggest online destinations in the country that offers a variety of mini chandelier lighting and mini lamp shades for chandelier at an affordable cost. 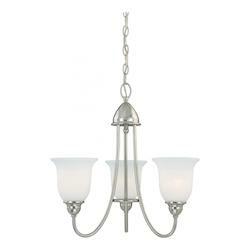 We assist people in finding the ideal mini chandelier lighting at the right price for their budget. Our large collection, high quality customer service and ease of online shopping makes it easier to find precisely what you desire for your home at a cost you can afford. 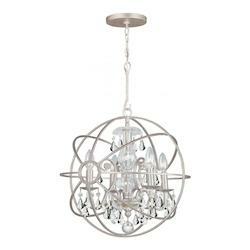 Why is We Got Lites the Right Destination to Buy Your Mini Chandelier Lighting? 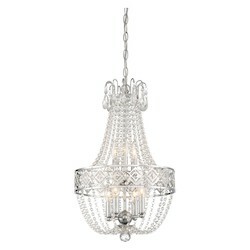 If you would like to add the style and elegance of a chandelier in an affordable way, but you do not have the sufficient space for big light fixtures in your home, you can browse our wide collection of mini chandeliers and analogous mini chandelier lighting options to locate a piece that will be the ideal fit for your home. 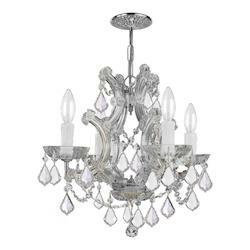 We have a huge collection of contemporary chandeliers, crystal chandeliers, antique chandeliers, and many other styles from a range of renowned brands. At We Got Lites, we work hard to ensure that you will have many options at all times for your home. That is why we have so many mini chandelier lighting, mini lamp shades for chandelier, and mini chandelier pendants for sale on our website, www.wegotlites.com. We would also like to make sure that when you buy one of our mini chandeliers online from We Got Lites, you are acquiring the one that is precisely right for you and your home. 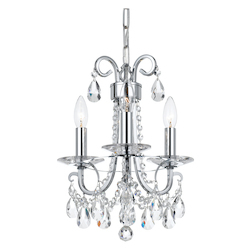 This may be any type of mini chandelier, such as the flush mount mini chandelier, mini chandelier for closet, mini glass chandelier; mini candle chandelier; mini swag chandelier; mini led chandelier; mini chandeliers with crystals; mini hanging chandelier, or something else that is entirely unique and special to your home. 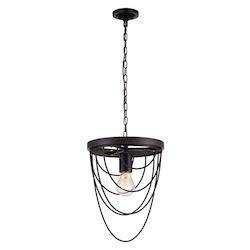 At We Got Lites, we offer a variety of chandeliers that are made of different materials, such as metals, glass, textile, wood, etc., according to your tastes and needs. 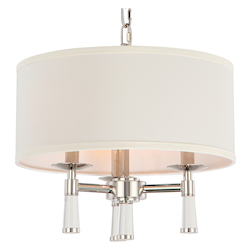 All of our mini chandelier lighting fixtures come with an attractive metal finish that includes bronze, satin nickel, oil rubber bronze, chrome, silver, Gold, steel, polished nickel, copper, brass, iron, satin brass, French Gold, etc. 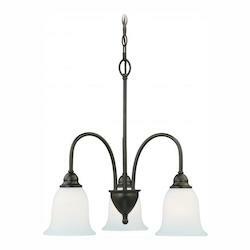 We also offer these fixtures with an old-fashioned finish, such as antique brass and antique nickel and with a colored finish, like black, brown, cream, white, gray, etc. Therefore, you can find the perfect mini chandelier lighting, mini lampshades for chandelier and mini chandelier pendants with us and they will blend perfectly with your home decor. 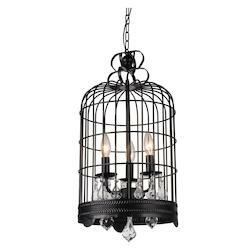 At We Got Lites, we also offer a variety of antique chandeliers, which were constructed with materials common to the time period in which they were created. Most of our old-fashioned chandeliers are made of gold, brass, bronze, iron and sometimes antlers, regularly with glass accents or cut crystal to offer brighter light. They all come bearing the signs of their handmade inheritance and many of our antique small chandeliers can be wired for use with electric lights as well. If you want to observe the real characteristics of your potential antique small chandelier for your home, We Got Lites is the ideal destination for you to visit and where you are guaranteed to find the authentic models you are looking for. 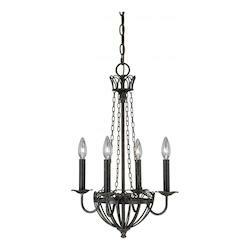 We are the leading supplier of old-fashioned small chandeliers that focus on all types of lighting fixtures. 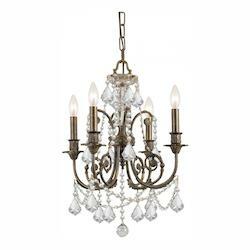 We offer an extensive range of historic small chandeliers and if you would like to have the chance to look at a great array of antique small chandeliers, you can check out the listings on wegotlites.com. 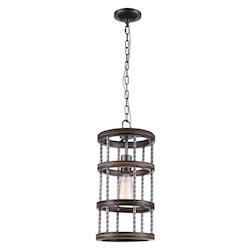 We also offer our chandeliers in a variety of styles that include traditional, modern, industrial, glam, coastal, rustic and mid-century styles to improve the style and the attractiveness of any room in your home. 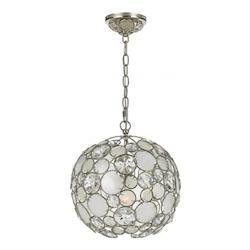 All our mini chandelier lighting fixtures are available at an affordable price that will not break your budget. 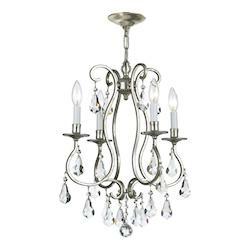 We are the leading supplier of a range of chandeliers that will best fit your needs and your budget. 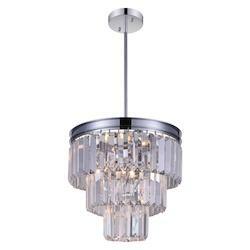 At We Got Lites we offer a variety of chandeliers that are made of metal, glass, wood and other materials. 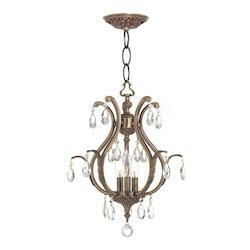 Our mini chandeliers are made of bronze and are the best-selling lighting fixtures online. Our richly finished bronze mini chandeliers meet the required compact forms to create eye-catching, perfect looks for small rooms or entryways. 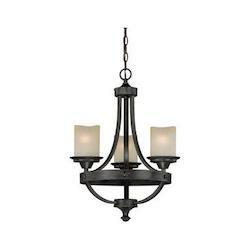 There is no better way to promote the look of entryways, foyers, and rooms in your space than with our rich, classic finished bronze chandeliers. Moreover, the compact design of these light fixtures has made them ideal for adding an immense style imprint in spaces which can only hold a small fixture. 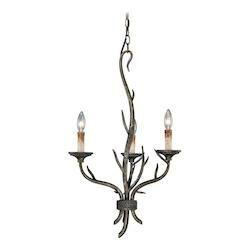 Suspend our small bronze chandelier in your entryway to welcome guests in style and make a bright first impression. 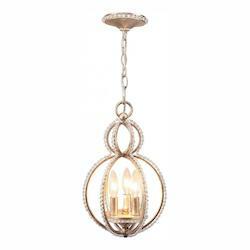 Alternatively, you can use one of these lighting solutions in your bathroom to convey a classic feel to your home. At We Got Lites, we offer an extensive collection of bronze mini chandeliers to go with the style of your home decor, ranging from luxurious conventional styles and intermediary small chandeliers, which balance classic and existing aesthetics to modern, industrial-stimulated designs. 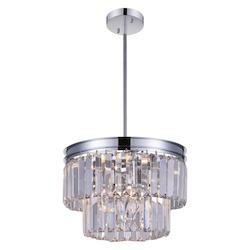 Mini chrome chandeliers offered by We Got Lites are designed in such a way that the manner the light gleams off these brilliant compact fixtures adds larger-than-life brightness in any room. When it comes to inside lighting, you can add gleaming brightness to small spaces with our chrome mini chandeliers to transform them from normal to bright. You can make foyers memorable and entryways exceptional with one among our compact chrome overhead fixtures. At We Got Lites, you can find traditional designs, which display brilliant crystal and luxurious looks from leading brands, which are sure to acknowledge guests by means of a touch of glamour. 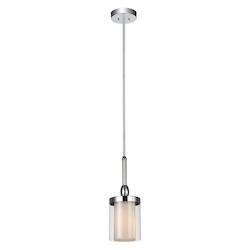 Our brushed steel chandeliers come in a flowing, elegant design with a polished nickel finish which is very attractive to the eye. 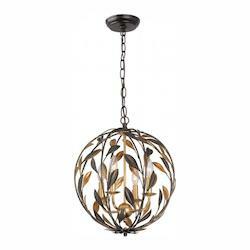 Their small size makes them perfect for tight hallways, kitchen spaces, etc. 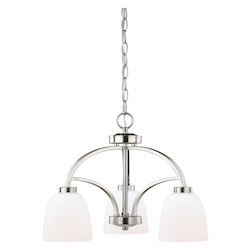 You can get the big style from our small chandelier design, which features a polished nickel finish and white fixed glass that can be set up pointing upward or downward. 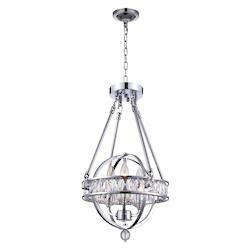 You can add a modern look to your home decor with a brushed steel chandelier from We Got Lites. 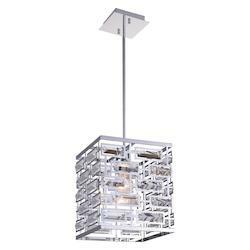 The adaptable chandelier can be installed with glass to offer the complete versatility and its sleek design will make your decor brighter. 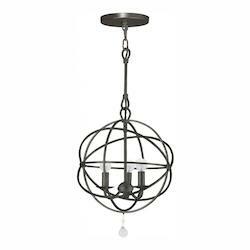 The bright contemporary looks offered by our modern mini chandeliers make them ideal for upgrading entryways and small spaces. Among the greatest ways to change your rooms from normal to blog worthy is by strategically installing small accent lighting. To make your home more contemporary, install our modern mini chandeliers to bring the on-trend ambiance to spaces where a bigger lighting fixture will not achieve. 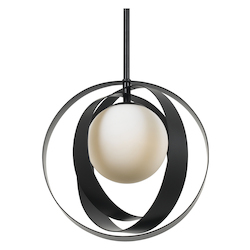 Installing our contemporary small chandeliers in your entryway or foyer will greet your guests in style and will create an immense first impression. 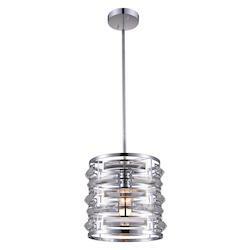 Moreover, these modern overhead light fixtures can be paired with bigger designs or they can be lined up in rows to balance bigger light fixtures, such as kitchen pendants. At We Got Lites, we also offer traditional mini chandeliers that embrace the permanent elaborate charm of conventional style with their attractive compact designs. 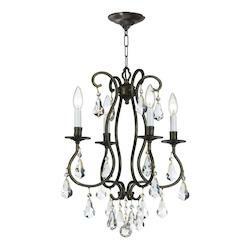 You can lift up your traditional decor by using our traditional mini chandeliers. Compact areas or small spaces of your home do not necessarily to be defined by their dimension. 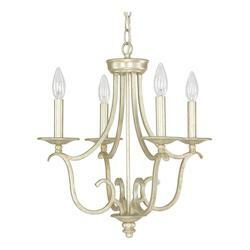 Instead, installing our conventional small chandeliers in your entryways, foyers, and bathrooms, and other parts of your home can put all the attention to style. Moreover, our traditional small light fixtures highlight the brand features of this lasting artistic, elaborate design, stylish details, and accents. You can also place our conventional miniature chandelier in your front doorway to lay down the tone for your space and welcome guests in great style. Our conventional petite chandeliers are also ideal for small kitchens, and when arranged in a line, you can generate an eye-catching focal point in bigger rooms. We offer mini crystal chandeliers in elegant designs, incorporated with gorgeous crystal bowls to generate a decidedly luxurious look. If you are expecting to distribute elegant touches all through the room, our mini crystal chandeliers will provide you with a host of options. These small light fixtures are ideal for small areas, such as foyers and entryways or other parts of your house where you wish for the focused light in a stunning form. 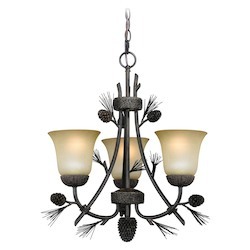 The crystal glass in these light fixtures carries a sense of luxury and sophistication, and when paired with these conventionally inclined chandelier designs, you will get a truly magnificent light solution. 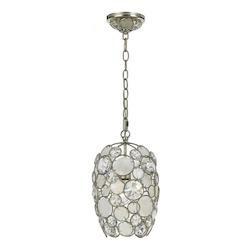 At We Got Lites, we offer mini crystal chandeliers in a range of finishes, such as silver, gold, and bronze, so these small light fixtures are small contributions to your home decor that are certain to make a huge impact. 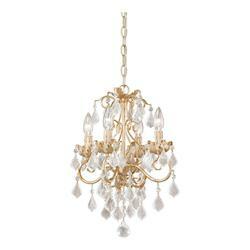 Although any mini chandelier can make a room in a home more elegant, the antique mini chandelier offered by We Got Lites has its own uniqueness. 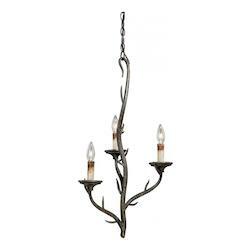 If you are seeking a little more drama, our antique mini chandeliers are the ideal option for you because they will generate a luxurious ambiance, which cannot be generated by the modern lighting. All of our antique small chandeliers are handcrafted by master artisans to offer a unique beauty which cannot be expected from factory manufacturing techniques. 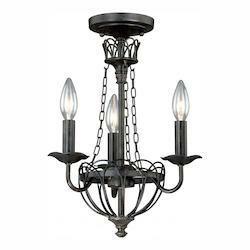 If you would like to decorate your home with the premium accents, our antique small chandeliers are the ideal light fixtures to complement the other antique home furnishings. 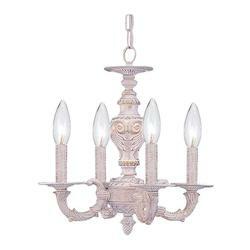 At We Got Lites, we have antique small chandeliers in numerous styles to consider. You can use our old-fashioned small chandeliers for your ornamental purposes, or you can use them to illuminate a room brilliantly in an antique style. Mini lamp shades for chandelier: if you are not certain what kind of lamp shade to search for your mini chandelier, browse our complete collection of mini lamp shades for chandelier, ranging from tiffany lamp shades to contemporary lamp shades. 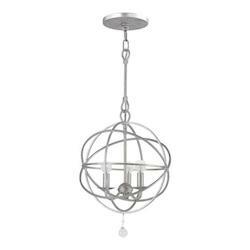 Mini chandelier pendants: with premium brand names, at We Got Lites, you can find stunning modern lighting options in our huge collection of mini chandelier pendants and can add the one as an immense accent piece over the kitchen island, or add warmness to a small lobby area. 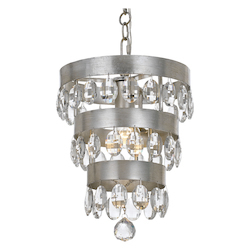 Flush mount mini chandelier: at our online store, you can choose your favorite small chandelier from the vast collection of flush mount mini chandelier fixtures, which are UL Listed and Energy Start certified. You can also find much more, which are great as outdoor and indoor lighting options to fulfill your entire home lighting requirements. 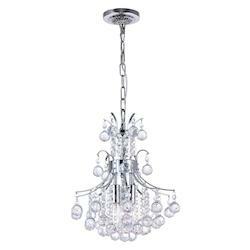 Mini glass chandelier: if you are seeking a mini glass chandelier online, We Got Lites has quite a lot of options, which are certain to satisfy your needs, as we have innumerable styles of small chandeliers that are made of glass. 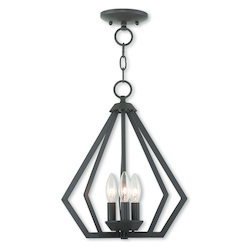 Mini candle chandelier: our modern mini candle chandelier feature a beautiful beveled cage design and its clean geometry will create a contemporary style to the place where it is installed. 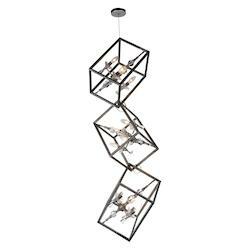 Mini swag chandelier: we offer Plug-In mini swag chandeliers with shades that will offer an eternal elegance and they are sure to lend the special ambient anywhere they are placed. Mini led chandelier: our mini led chandeliers are the suitable lighting options to be installed in the bedroom, living room, dining room, bathroom, study room, hallway, etc., in your home. Mini chandeliers with crystals: nothing is as stylish as our fine mini chandeliers with crystals, which give shine to brilliant evenings at palaces where they are installed. 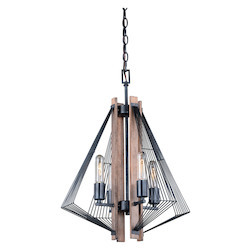 Mini hanging chandelier: bring essence to your living space with our richly finished mini hanging chandeliers that come equipped with sufficient bulbs and glass shades that unite to deliver a comfortable, cottage feel into your living room. 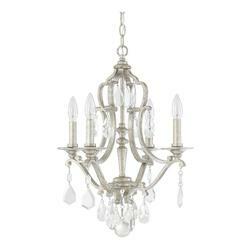 Choosing the best mini chandelier for your home will usually take some time since there are several options to consider. 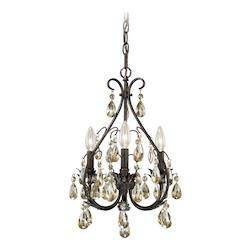 Reflect on the space, the room decor and your individual taste before you buy a small chandelier. 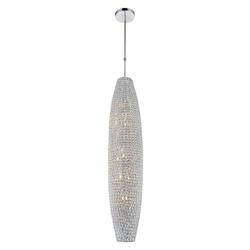 However, the precise light will add a special spark, style and attraction to any room. 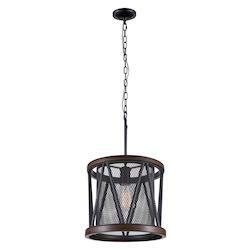 Finding that ideal selection is uncomplicated and easy on wegotlites.com, which offers a huge collection of styles and price ranges with a great discount. 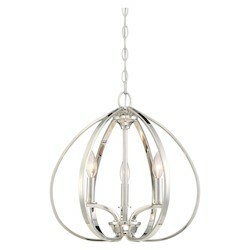 Browse our website now to choose your preferred mini chandelier for your home quickly and easily.